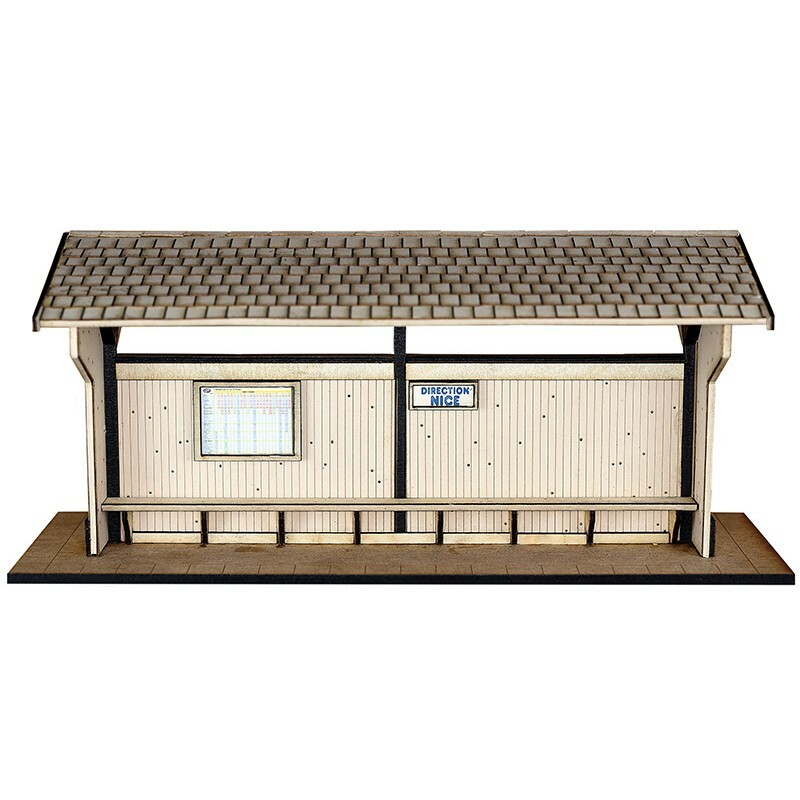 > BUILDINGS & TRESTLES>CP PROVENCE>BÂTIMENTS Om>Om CP OPEN WOOD PASSENGERS SHELTER KIT. 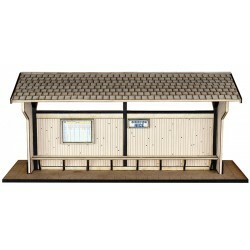 Om CP OPEN WOOD PASSENGERS SHELTER KIT. 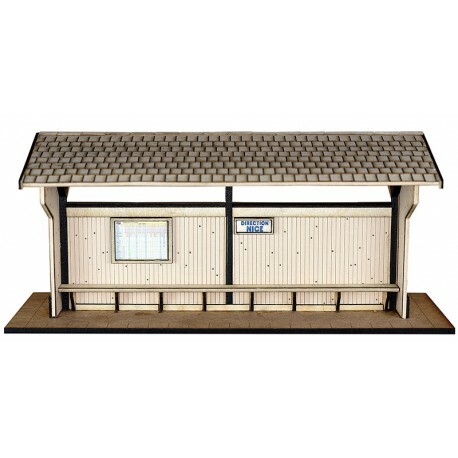 Om CHEMINS DE FER DE PROVENCE OPEN WOOD PASSENGERS SHELTER KIT. 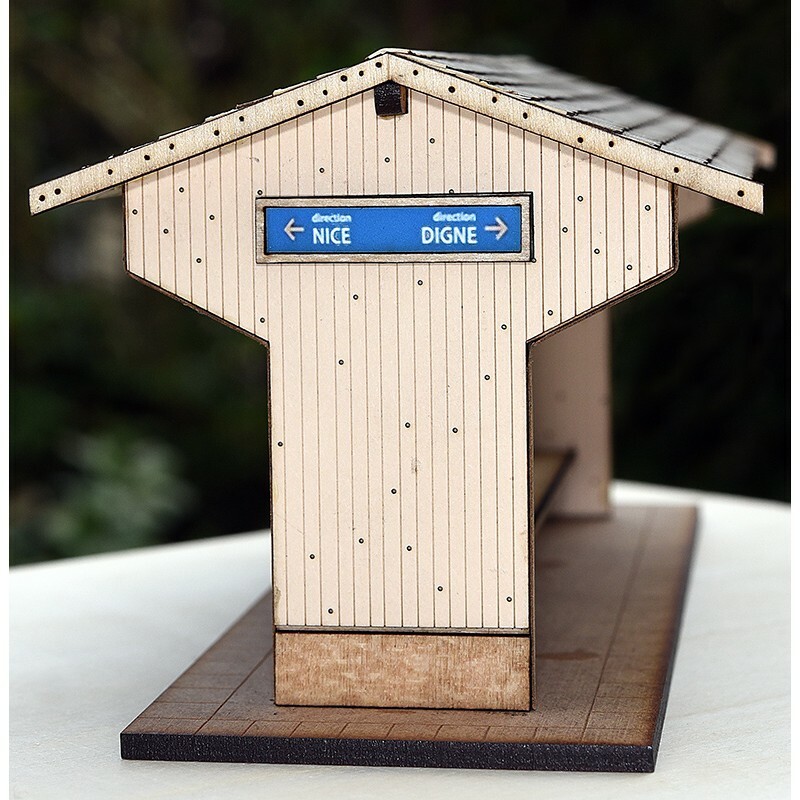 Chemins de fer de Provence / Sud France Saint André railway shelter (wood) wooden laser cut. Includes easy to use instructions with drawings. Fits and complete our CP Stations. 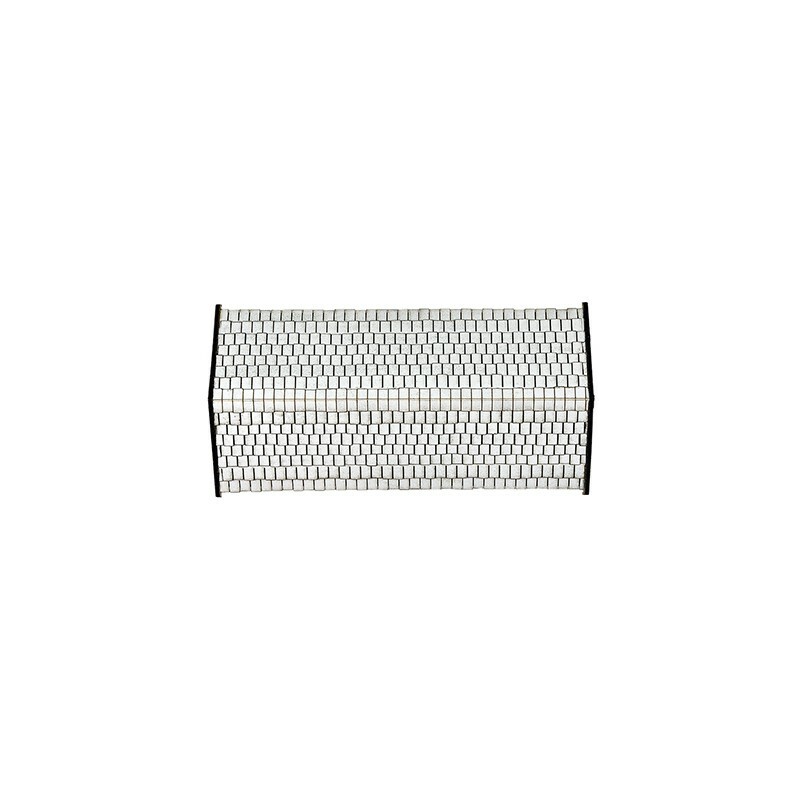 sizes : 195 x 60 x 88 mm.